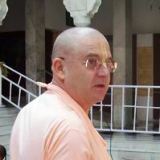 Gopinath dasa – Italy: For many years now I have been observing ISKCON leaders and their unhealthy protocols and programs that are implemented when it comes to dealing with issues pertaining to their questionable managerial/philosophical outlooks and consequent problems that arises from their unwillingness to enter a dialogue with the devotees who are expressing their concerns that are based on Guru, sadhu and sastra. Please accept my humble obeisances. All glories to Srila Prahupada. classes or preach here. This must be, and will be respected. offensive to devotees, the GBC, and ISKCON. In his letter Tamohara prabhu is stating some serious accusations by calling BVKS an offender of devotees, GBC and ISKCON itself, yet providing no evidence of such behavior on Maharaja`s part. However here are some quotes from Srila Prabhupada on this matter that totally contradicts that of the GBC, Tamohara dasa. Since BVKS maharaja is only quoting Srila Prabhupada in this matter, it means that certain GBC`s are obviously implying that Srila Prabhupada himself is an offender of the devotees, GBC and ISKCON. 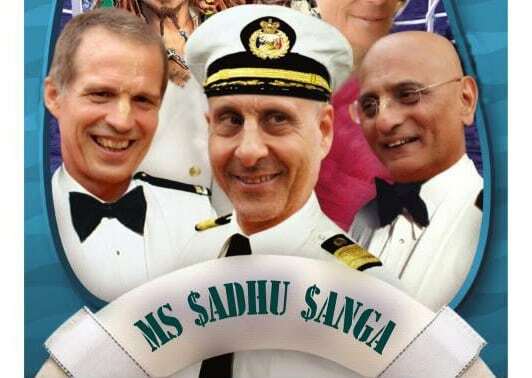 Such criticism against Srila Prabhupada started some time back in particularly by the devotees who are influenced by the Academia and its populistic contrived brain child ‘Political Correctness’, and over the years their criticism is becoming stronger as they are becoming more entrenched within the corporate managerial stratum of ISKCON. These opportunistic Academically influenced devotees believe that we need to be more liberal and open to other ideas and visions since if we do, more people will join us, as they would feel comfortable and accepted within the movement, postulation being that the only importance is ‘love’ for Krsna and nothing else really matters, since they are mere details. The term ‘love’ is an operative word. What an wonderful idea; as long as you follow four regulative principles and chant sixteen rounds you can change everything else, since they are only unimportant details. Because you ‘love’ Krsna it is really ok to be what you want to be, do what you want to do, as long as you ‘love’ Krsna is all good = you are O.K.. i`m O.K. (well I guess in this instance BVKS is not O.K.) …what happened to boiling the milk, I wonder? Therefore, when certain faction allegedly returned back to ISKCON with their religiosyncretic ethos these ‘latitudinarian’ devotees jumped on the band wagon, actively endorsing and promoting these stratagems while simultaneously attacking, minimizing and belittling anyone who is questioning these unauthorized changes within the movement (Srila Prabhupada included). We used the word allegedly since we are not convinced that they have indeed return to ISKCON. The reasons for the doubt is twofold; Firstly, all the projects that are operated by them are not legally registered in ISKCON`s name. Chopatty, New York sanctuary, Bhaktivedanta Hospice, New Vrindavan, Devamrita swami`s loft project, etc., are all privately incorporated and independently owned and managed projects. Consequently by maintaining their independence it is clear that they are only subsidiaries of ISKCON. Hence if they choose they can split from an ISKCON Alliance any time they so desire. Why? Secondly, since their ‘alleged return’ to ISKCON they are continuously preaching in the same interfaith hodge-podge style spirituality that they did while having Kirtananda at the helm, despite the instructions from Srila Prabhupada saying not to do so. One of the main reasons for their split from ISKCON at the time was exactly that; their own concocted interfaith preaching. So what has really changed? Anything? Interestingly, the above letter bears the same relevance to Radhanath swami and his activities/actions today, who is only continuing with the same unauthorized (mayavad/sahajiya) interfaith style of preaching upon the alleged return to ISKCON, that factually originated by Kirtananda and his independent faction and it is not something new and wonderful that was never seen before, as they would like us to believe. Out of that, we can only understand that the writer believes that Radhanath swami is on the same level of realizations and qualifications as the above Mahabagavatas, or that anyone can make the changes that they think should be made according to what they perceive is needed at the particular time, place and circumstances. Provided that such individual can plausibly demonstrate that at the end, these are merely details. Both views are equally concerning. Following such logic lord Shiva is the greatest devotee among all, he drank poison, does that denote Radhanath swami should drink it to? Perhaps if he did and was not affected by it, then we would have to take Radhanath swami and his changes seriously… if not… then…? I have to consider is he Imitating or following that is the question. 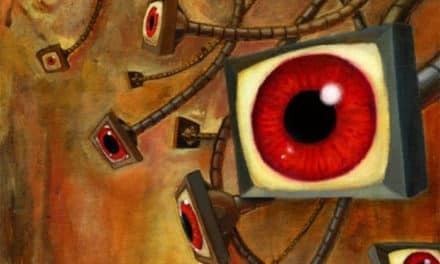 We do have to posit a question; is it really intelligent and sane to base the whole ‘new’ mayavad/sahajiya preaching system based on one random (and quite irrelevant) quote from a lilamrita, and at the same time ignoring/rejecting so many quotes originating directly by Srila Prabhupada in his books, lecturers and conversation STRONGLY opposing it? 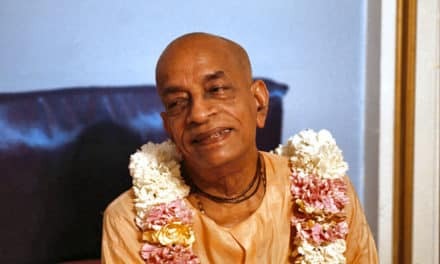 Even when we are offering our daily prayers to Srila Prabhupada every morning and we sing his prayers we can see how strongly Srila Pabhupada felt about it. I offer my respectful obeisances unto His Divine Grace A.C. Bhaktivedanta Swami Prabhupada, who is very dear to Lord Krsna, having taken shelter of his lotus feet. Our respectful obeisances unto you, O spiritual master, servant of Sarasvati Gosvami. You are kindly preaching the message of Lord Caitanyadeva and delivering the Western countries, which are filled with impersonalism and voidism. Here we see that one of the main purposes of Srila Prabhupda is; preaching the message of Lord Caitanyadeva and delivering the Western countries, which are filled with impersonalism and voidism. So why would Radhanath swami and other like minded individual within ISKCON use and encourage imeprsonalistic views by intimately associating with the mayavadis and using mayavada/sahajjiya in his “preaching” instead of eradicating it? What Radhanath swami inculcated into this movement is not anything new (whether be principle or detail). Kirtananda (Radhanath swami`s sannyas guru) tried to do exactly the same thing before, and we all know how Srila Prabhupada adjudicated on this matter. Therefore it is a moot discussion. What is really troublesome and concerning in this matter is that certain latitudinarian devotees refuse to accept Srila Prabhupada`s decision on this matter (and many others) and are continuously pushing this mayavada/sahajiya influenced preaching to go on. Consequently, by their action they are stating that Srila Prabhupada was wrong and they are right, and that they know better! On that note we would like to provide the following statement by Srila Prabhupada as a food for thought. But I guess certain latitudinarian ISKCON leaders would want us to believe that these are only unimportant/irrelevant small details… so don`t worry about it and unnecessary preoccupy your small brain… just go back to (innocent) sleep. (And chant Hare Krishna and when can, give them some money) and in any circumstances do not talk about it publicly, because you will disturb the innocent. Innocent…? More likely ignorant, as ISKCON leaders prefer to keep them in ignorance while they feed them foolosophical bull, just like mushrooms, while keeping them in the dark.